When playing in a game, youth soccer players’ minds are focused on making split-second decisions as they maneuver around and survey the field. Every once in a while, however, a player’s attention may be drawn to his or her hyper parent yelling instructions or making a scene from the sideline. While parents’ actions may simply be the result of wanting the best for their child, their behavior can have a negative effect on their young athlete’s enjoyment of the game. 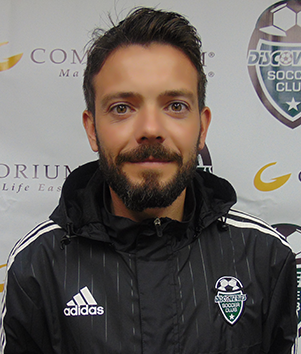 US Youth Soccer spoke to Dave Carton, the director of coaching for Discoveries SC in Rock Hill, S.C., to hear his opinion on some areas in which many parents could improve their sideline etiquette. Carton is no stranger to addressing adults on how to act while at games, and a letter he sent to parents of his club that cited their improper behavior was featured on the US Youth Soccer Coaches Blog. 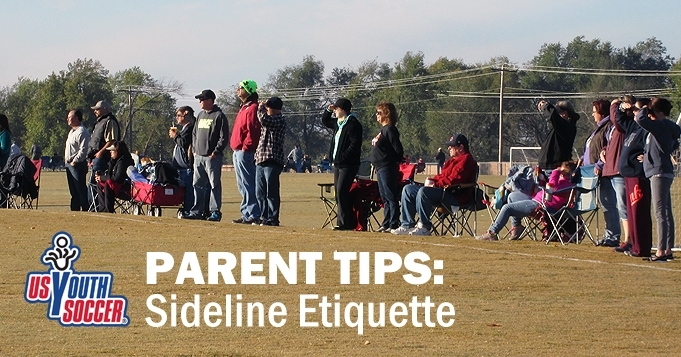 A common problem in youth soccer is the impulse parents have to shout instructions to their young player from the sideline. It’s especially difficult for a child because he or she has a tendency to refer to what a parent says, which often conflicts with the instruction from the coach. Carton said parents should imagine being in a room and having multiple people yelling instructions at them in order to see the confusion it could cause a child. Carton said this is an epidemic, and spectators should realize that referees are people and will make mistakes — even those officiating at the highest levels of play. When parents go after a referee for what they perceive as a mistake, it begins to make the game about the adults rather than the kids. “A referee is ideally going to make an objective decision on what he or she sees. A parent is going to interpret that same situation through the prism of the team that their child plays on,” Carton said. “If it’s a decision that goes against their team, they’re automatically going to have a subjective view on it. Far too often parents worry about the numbers formed by illuminated lights on a scoreboard rather than the experience their child has while playing youth sports. Carton said parents are naturally from an older generation in which there was a larger focus on the result of a game. While it’s natural for everyone to want to win, he said parents need to keep focus on the larger picture. He went on to talk about a hypothetical 1-0 loss. “Very few of the parents are asking their child if they had fun today. The child will take the parent’s reaction to the result of the game as the norm. They’ll then relate their experience to the result of the game, which is really counterproductive. Do you find yourself pacing up and down the sideline — anxiously following the action as it unfolds on the field? Stop it. Breathe. “Just calm down. Enjoy it. Stop being so attached to it. It’s not your game,” Carton said. “Don’t base your enjoyment or happiness on what is going on out there. Maybe you don’t agree with how much your child played in a game or another decision the coach made during the match. It’s important to take some time to think about it rather than confronting the coach in front of your child and the team. “Directly after the game, the parents should not approach the coach. It’s an emotionally charged conversation and very little good can come from that,” Carton said. “At that time, there’s very little a coach can say that will make the parent feel any better. Go home. Talk to your family. Sleep on it. Get in touch the next day, whether it be by phone, email, or even going for a cup of coffee with the coach and asking for feedback.